Hollerith Type III Tabulator with its control panel exposed. Photo: MNRAS, Vol.92, No.7 (1932). CLICK to magnify. This is one of the granddaddies of IBM's tabulators, from before IBM was founded. The Tabulator was invented by Herman Hollerith (Columbia University EM 1879 PhD 1890), for the 1890 US Census, and was an essential part of the computing and business scene for nearly a century. Its basic function is to count and/or add from punched cards and then produce results or reports on dials (early models) or visible counters, or print them on paper, and/or send them to a separate card punch or other device so they can be used in subsequent calculations.
. . . in which card columns or fields were connected by pluggable cables (as on a telephone switchboard) to printer columns and/or counters, and so on, as opposed the hardwired connections of earlier models. As you can see in the Type III photo above, these tabulators had a fixed wiring panel, requiring the machine itself to be rewired for every new job, keeping it idle for extended periods. The Type 3-S and later machines allowed for "offline" wiring of removable plugboards and therefore the accumulation of a "library" of prewired plugboard programs for quick switching from one job to another (CLICK HERE to see an example). Tabulators could handle positive and (after the mid-1920s) negative numbers, and later ones also alphabetic and special characters, but they could not multiply or divide. In the 1920s and 30s, before other automatic machines capable of multiplication or division were available, tabulators (in combination with card sorters) were turned to scientific applications through such techniques as progressive digiting, devised by Charles Babbage a century earlier, in which tables of squares, cubes, reciprocals, logarithms, and so forth could be produced through a series of additions, and then used to perform complex calculations. The punched-card machine methods for this were pioneered by L.J. 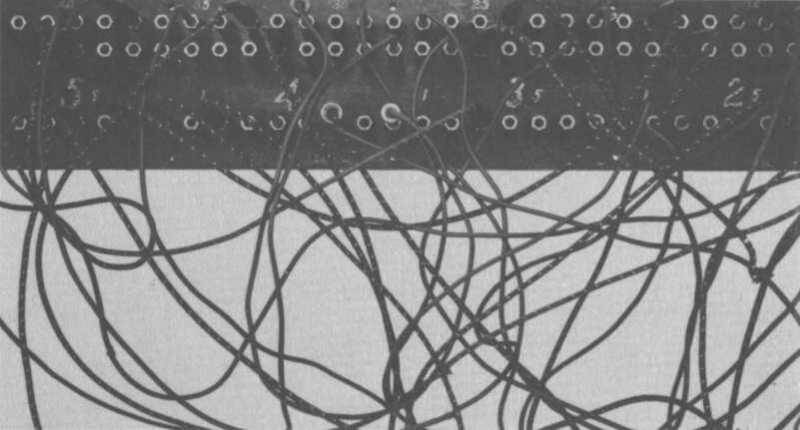 Comrie and Wallace Eckert, and from these humble early efforts arose modern computing. As standalone devices, tabulators and accounting machines are limited to reading data from cards and displaying results locally on counters or paper. If the results were to be used in subsequent calculations, they could (in later models) be fed to a summary punch. In later years, tabulators (by then called accounting machines) could be connected to more powerful equipment, such as multiplying punches and other calculators (such as the 601, 602, 603, 604, etc), the Card Programmed Calculator, or the 650 Magnetic Drum Data Processing Machine (i.e. computer) as input/output devices for reading data and (later) instructions and printing results, while letting the more capable machine do the "higher math" directly. 1890 Hollerith Census Tabulator Manual feed, wood cabinet, hardwired connections(*), counting only. 1896 Hollerith Integrating Tabulator Manual feed, true addition as well as counting. 1900 Hollerith Automatic Feed Tabulator First automatic-feed card reader, used in 1900 US Census. 1906 Hollerith Type I Tabulator (Type 090) Automatic feed; metal cabinet; first wiring panel. 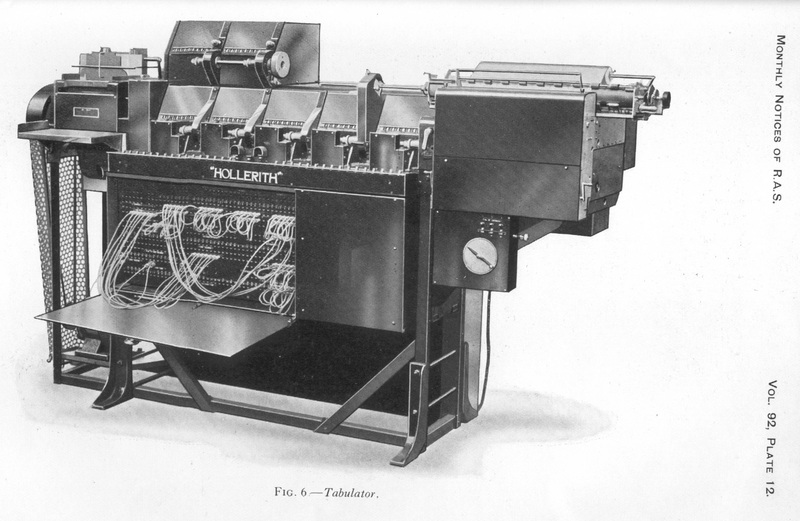 1921 Hollerith Type III Tabulator (Type 091) First model with printer (pictured above). 192x Hollerith Type 3-S Tabulator First model with direct subtraction, removable plugboard. 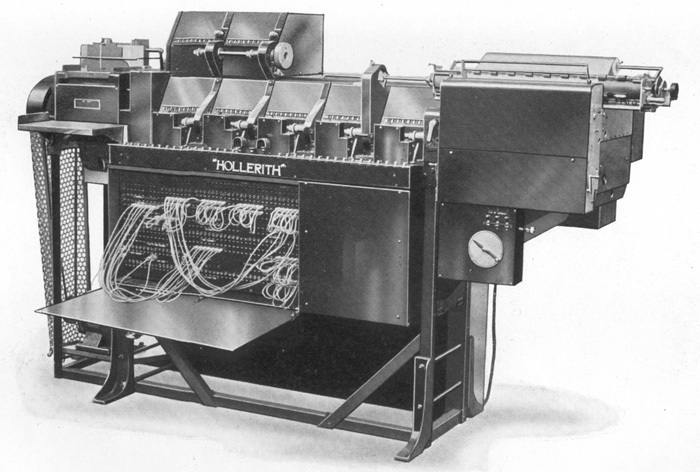 1928 Hollerith Type IV Tabulator. (Type 301) First 80-column-card model. 1933 IBM 401 Tabulator. Alphanumeric. 1934 IBM 405 Accounting Machine Alphanumeric. 1948 IBM 402 Accounting Machine Alphanumeric, with 403, 412, 417, 419 variations. 1949 IBM 407 Accounting Machine High-speed alphanumeric. 421, 444, 447 variations. (*) e.g. between card fields and counters. All the models listed above from 1928 and later (and perhaps some earlier ones as well) saw service at Columbia University. The 407 was the last of IBM's electromechanical accounting machines. The next product from IBM that was capable of doing all the same things (and, of course, more) at an affordable price was a general-purpose electronic digital computer, the 1401 (1959). Yet the 407, a true workhorse and direct descendent of Herman Hollerith's original 1890 Census Tabulator, remained in service (albeit in dwindling numbers) for decades (and at Columbia until at least 1969). Aspray, William (Ed. ), Computing Before Computers , Iowa State University Press, ISBN 0-8138-0047-1 (1990), Chapter 4. Baehne, George W. (IBM), Practical Applications of the Punched Card Method in Colleges and Universities , Columbia University Press (1935). Electric Accounting Machine Operation Series , GS-0359 (Jun 1960, Jan 1982). 1950's tax preparation: plugboard programming with an IBM 403 Accounting Machine , Ken Shirriff. An excellent introduction to how IBM accounting machines were programmed. Also See: Herman Hollerith, Sorters, Key Punches, Collators, Reproducers, Interpreters, Calculators.